Melbourne’s jazz and soul scene has drawn some well-deserved international attention recently, so we’re happy to fan this worthy musical flame by premiering an upcoming digital single and the fourth release of Melburnian label, La Sape. 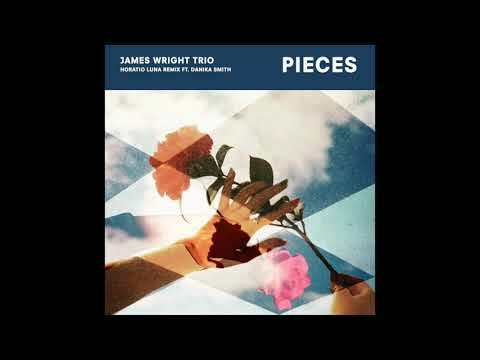 Brisbane’s James Wright Trio has prepared a 12” EP for the label, so, as a warm-up of sorts for that release, La Sape headhunted rising Melbourne musician Horatio Luna to remix some 2017 demos of James Wright Trio’s track, Pieces. And those with a special affinity with jazz-house blends could do themselves a big favor by sifting through Horatio Luna’s nascent but promising discography. He’s the bassist of jazz-heavyweights, 30/70 (whose music we’ve premiered before), and has, apparently, been honing his production skills. So it’s no surprise this seven-minute remix exudes musical dynamism. It morphs from an archetypal jazz loop of splashy cymbals and a stuttered chord progression of moody keys to frantic drums and flurried keys of a much lighter, dreamier kind. Yet it all sounds like one, cohesive piece of music. The continual threads throughout the track are the live-recorded drum samples (courtesy of drummer and bandleader, James Wright) and Danika Smith’s captivating, echoed vocals that loop over and over again to blanket the song with an alluring and almost psychedelic veneer. This song is like a makeshift raft: it’s a little bit rough, made of parts that fit surprisingly well together, and will probably make you float for a few minutes. Keep an eye out for SAPE004, releasing soon.